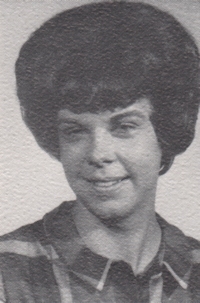 Obituary – Chandler, Frances L. (Hoot) « Perry High School Alumni Association, Inc.
Francie L. Hoot Maloney Chandler, 67, of Blackwell, OK, died on April 5, 2014 at the Integris Blackwell Hospital surrounded by loved ones. She fought a 3 year battle with cancer with strength, faith, and belief. 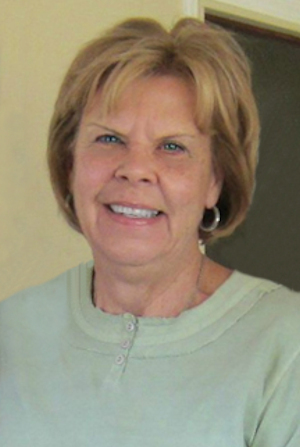 Francie taught school for over 40 years in Moore, Peckam, Ponca City, Healdton, Newkirk, OK and Ellis and Andover, KS. Francie was preceded in death by her parents Dr. Delmar and Harriet Hoot and brother, Tom Hoot. She is survived by her daughter and son-in-law Ray and Angela Boese of Rose Hill, KS and her blessings, grandchildren Chandler and Ray Boese III. She is also survived by Angela’s father, David Chandler of Blackwell, OK; her brother and sister-in-law Phil and Marian Hoot of Phoenix, AZ; niece, Currie Hemenway and her family of Scottsdale, AZ; Aunt Barb Akins of Siloam Springs, Ark and her family including her forever cousin Peg Dorsey and very caring friends. Francie requested to be cremated. A Memorial Service will be at St. Mark’s Episcopal Church, 701 7th Street in Perry, OK on Saturday, April 12 at 10:30 am followed by a church luncheon and burial of ashes at Grace Hill Cemetery in Perry, OK.
Memorials can be made to Saville Center for Child Advocacy at PO Box 393 Stillwater, Ok 74076, St. Mark’s Episcopal Church, PO Box 507 Perry, Ok 73077, or St. Grace’s Episcopal Church, 109 N. 15th St. Ponca City, Ok 74601.